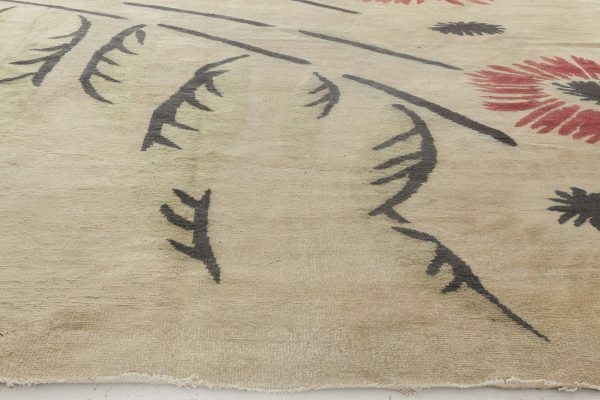 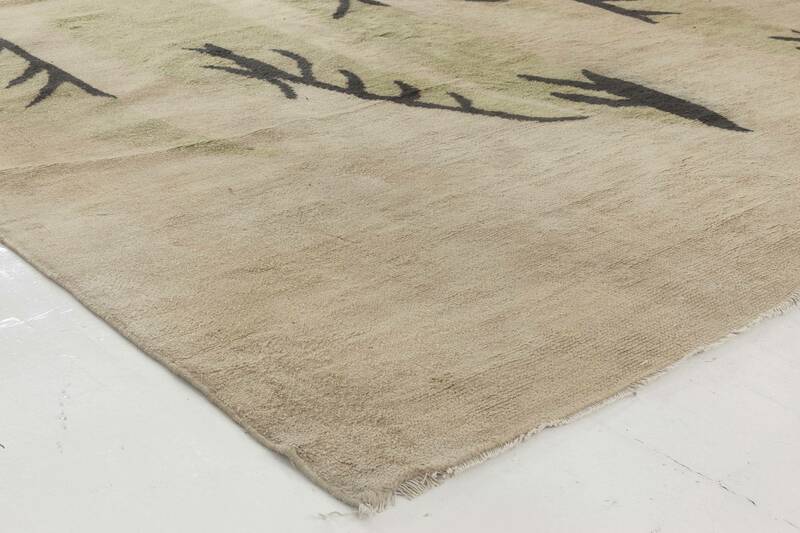 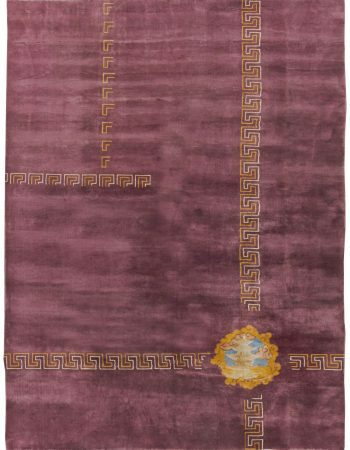 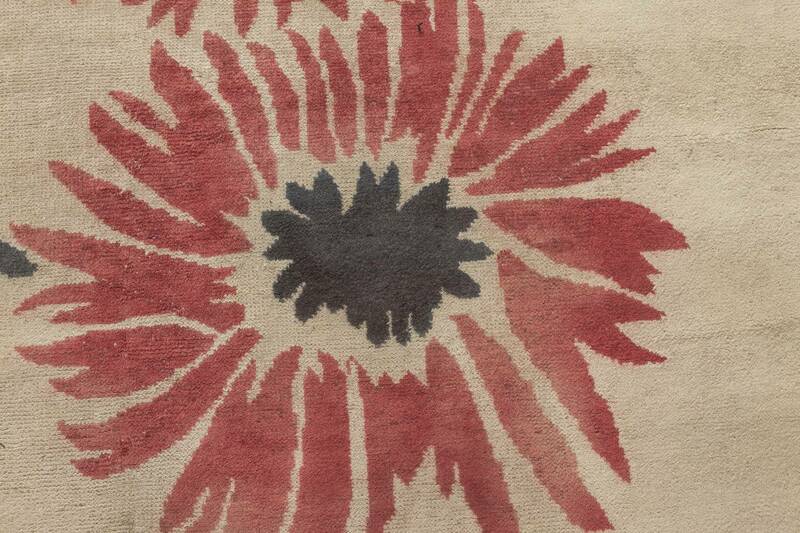 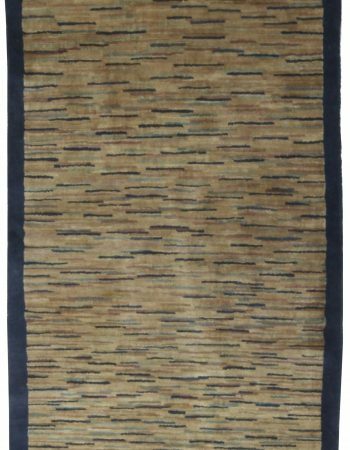 This magnificent French Deco rug is the embodiment of class and top-notch design. 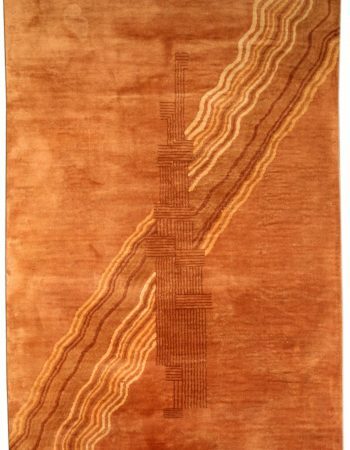 Although made in the first half of the 20th century, the vintage carpet until this day remains in an absolutely impeccable condition due to the masterful hand-knotting of the finest wool according to old and refined weaving techniques by a skilled artisan. 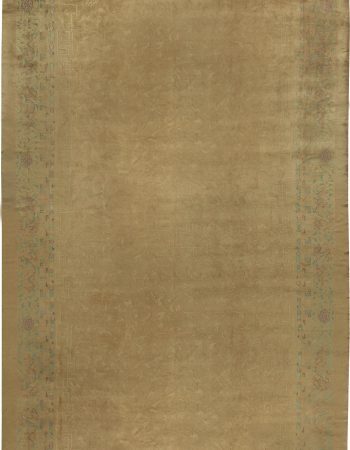 Such thorough making ensured the incredible tenderness of the pile which is pure pleasure not only to look at but also to touch.This imposing beauty absolutely mesmerizes with the balanced and utterly elegant design, ready to fit into all kinds of contemporary interiors, from classic to modern. 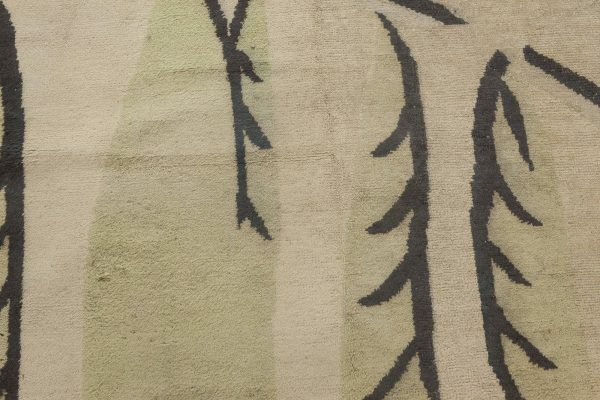 The vast borderless beige field is covered in quite simple yet pronounced red and ivory flowers on stems tilting to the right, complemented by a series of stylized leaves hanging from the last stalk. 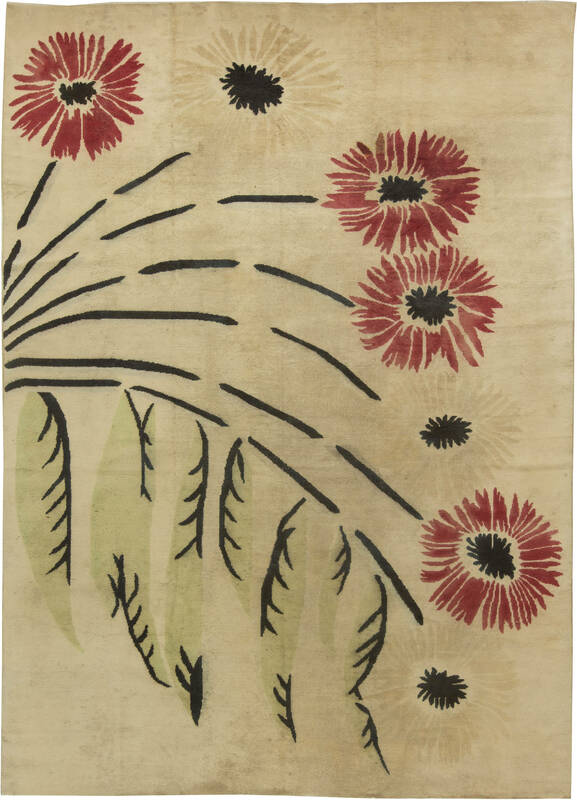 Such uncomplicated and pictorial composition has a chance to bring in a breath of life and joy to any décor, at the same time maintaining the vibe of ultimate sophistication. 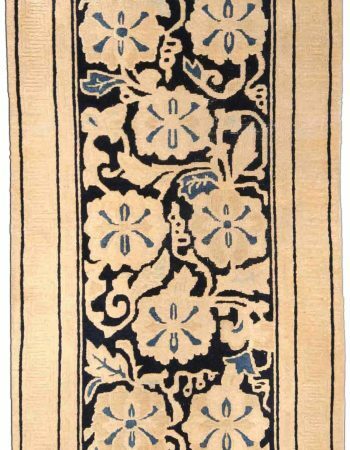 Doris Leslie Blau has always tried to bring the charm enclosed in persian, antique oriental rugs closer to people, closer to you. 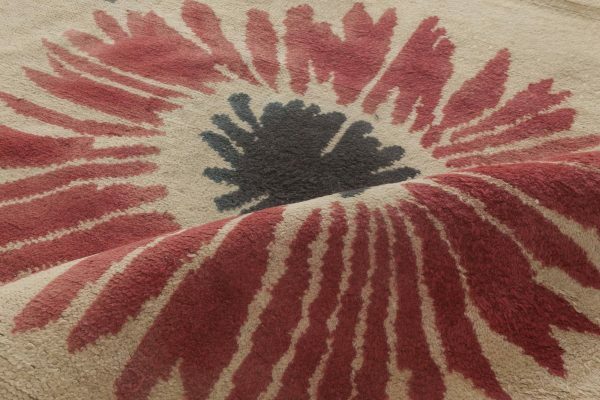 We opened our galleries in multiple locations in order to let you experience the sheer beauty of antique, vintage persian, oriental rugs and carpets with your own eyes and hands.